Upgrade the wardrobe collection of your little one by adding this polo tee brought to you by Allen Solly Kids. 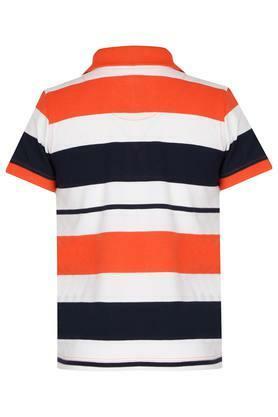 It features a striped pattern and short sleeves that renders it fashionable. 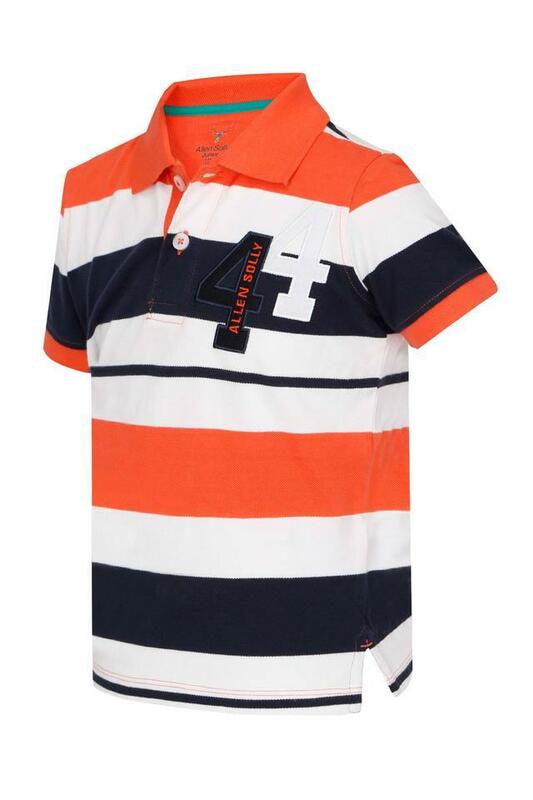 Furthermore, it has a polo neck that adds to its design, while the good quality fabric makes it convenient to wear. 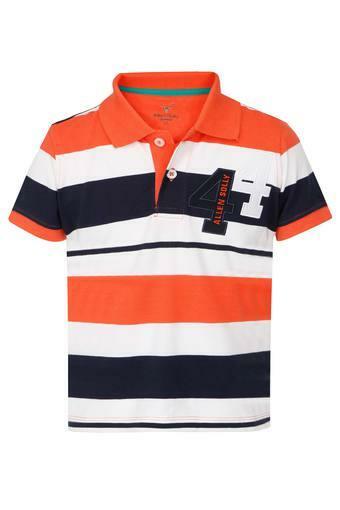 Let your young one rock an effortlessly stylish look by giving him this tee. He can team it with a pair of jeans and shoes to complete his casual look.